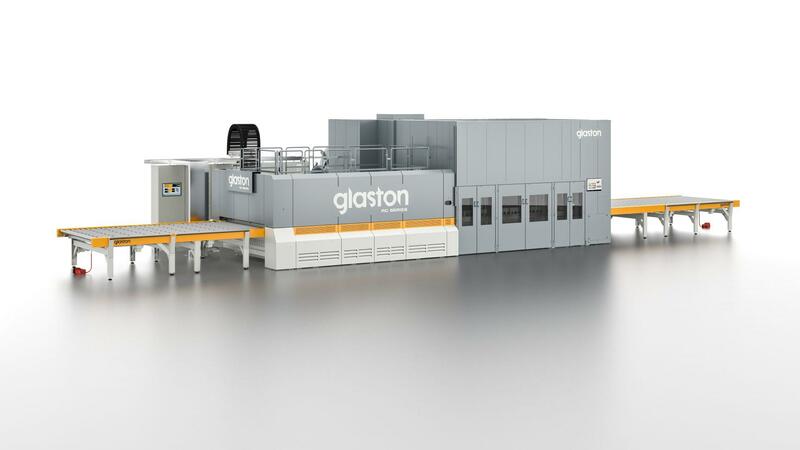 To keep up with the demands of its customers, ABC Glass Processing started up its new Glaston RC200 tempering furnace in spring 2017. “Now we’re able to toughen glass in just a fraction of the time and in larger, longer and thicker sizes than ever before. This investment has enabled us to continue to serve our loyal customer base with outstanding quality and service, the hallmarks that have always made us special,” says Alan Hellyer, Director at UK-based ABC Glass Processing. On the very first day of the year 2000, three enthusiastic colleagues from Solaglas decided to set up business for themselves. The three, lightheartedly known as Alan the office boy, Barry the cutter and Craig the processor, started ABC by combining the letters of their first names. Their goal was to supply the local market around Portsmouth, in Southern England, with high-quality glass products and services. before we could finally install the furnace. Glaston was extremely helpful to us during this time,” Alan says. The new RC200 furnace was finally commissioned in February 2017 and started running two months later. “The potential for us moving forward is tremendous. Running time and capacity are unbelievable,” Alan emphasizes. Everyone at ABC is very happy with the new furnace. The company can now process glass in just a fraction of the time it took before – exactly what is needed to keep up with the reduced lead times our customers are demanding.